Rachel Tobac reports from DefCon hacking conference how easy it is to break into voting machines in 18 states used in Senate elections. Jonathan Vankin wrote, "Over the past three-and-a-half decades, we in the United States have sold out our election process - which, unless I'm very much mistaken, is the foundation of our democracy (such as it is) - to a small but lucrative cadre of for-profit businesses and their wildly defective products, which they manufactured, in some cases, many years ago but which are still used to tally votes today." 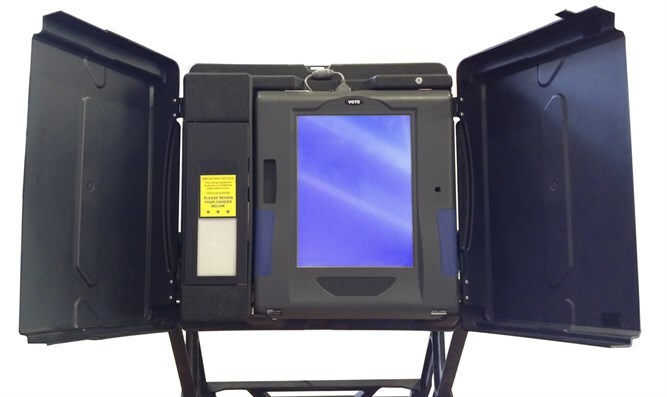 Here, Rachel Tobac reports from DefCon hacking conference on how easy it is to break through voting machines in 18 states that will be used in Senate elections on November 6th. Vankin once wrote that "the next President of the United States may not be chosen by the voters. Instead, he may be the choice of whoever controls or manipulates the computer systems that tally the votes. "Computerized vote-counting is a terrible system. This is only news to those who haven't been paying attention. Every problem that arose in the 2000 election had been on the public record for more than a decade. Yet here we are. Why?"